Your expectations are our process , your requirements are our experiences. Yarış Kabin Co. is founded in 1977 by Hüseyin Yarış, Hasan Yarış and Nazmi Yarış in Balıkesir Heavy Industry Zone. Being a limited company in 1982, Yarış Kabin operates in the sector of agricultural equipment, manufacturing tractor and heavy construction vehicle security cabins. Aiming hundred percent customer satisfaction, continuous improvement and sustainable quality production strategy, Yarış brothers manufactured their first OEM production for Zirai Donatım Kurumları (Agricultural Equipment Institution, Turkey) in 1986. As the first exportation activity, company made its first business to Greece in 1993 which is followed by Spain and Italy. In 1995, factory has moved to its new destination on İzmir Highway and continued to manufacture in their new headquarters. By the participation of the second generation in 1998, company started to manufacture security cabins for Türk Traktör Company in 2000 and reformed as Inc. in 2001. Yarış Kabin Inc. reinforced the Türk Traktör Project’s success with the exportation to Italy for CNH in 2004. 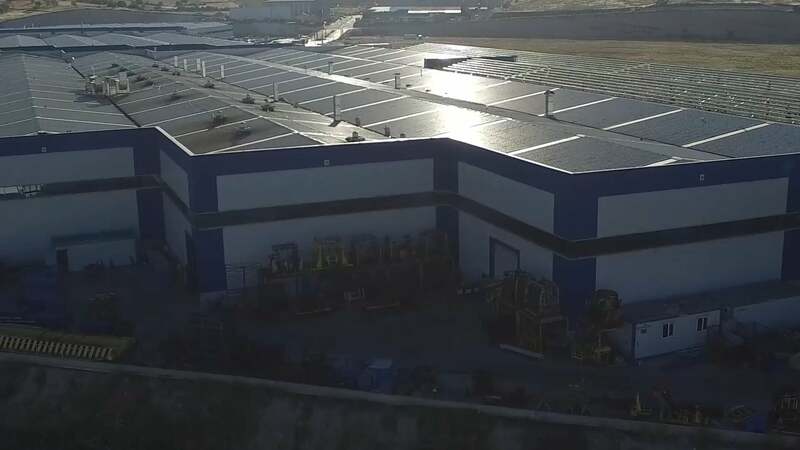 In order to give better service for their customers and to produce at better quality, Yarış Kabin has been keeping on their investments and the company established Yarış Automotive Inc. in 2005 which still continues operating in Nilüfer Organised Industrial Zone in Bursa. In 2010, Yarış Kabin moved to Balikesir Organised Industrial Zone with its robotized-parkour production facilities. For the purpose of serving its customers in the industrial product design sector in 2014, the company established a partnership with the Italian Car Studio Design Company in Bursa Nilüfer Organized Industrial Zone and started Car Studio Yarış Design company. This step took the employment rate for Yarış Kabin to another level reaching approximately 1600 employees. Yarış Kabin, declared to be the 322th in “ISO-Turkey’s Top 500 Industrial Enterprises” in 2016, 405th in Fortune Magazine’s “Fortune 500: Companies With The Most Employees”, 420th in “TIM - Top 1000 Exporters of Turkey” and showed the success of being the most corporate tax payers for several times. Today, with its fully equipped, high tech factory the corporate is among the top three organizations in Europe with 100.000 square meters of indoor and 300.000 square meters of total area in Balıkesir Organised Industrial Zone. Yaris Kabin Inc. with a market share of 70% in Turkey, continues to participate in corporate social responsibility projects and investments in production technologies aiming to be the worldwide leader in the sector.